District leaders announced Tuesday they’re taking the advice of their inspector general by having his office pursue complaints both new and old. The news comes in the wake of a Chicago Tribune series detailing CPS’ ongoing failure to properly investigate and protect students from sexual abuse. In that series, the Tribune pointed out a conflict of interest when the CPS Law Department investigates student allegations of sexual abuse by a teacher or staff member, and then also defends the district against the allegations if the victim files a civil suit. The district now says it agrees with Schuler. 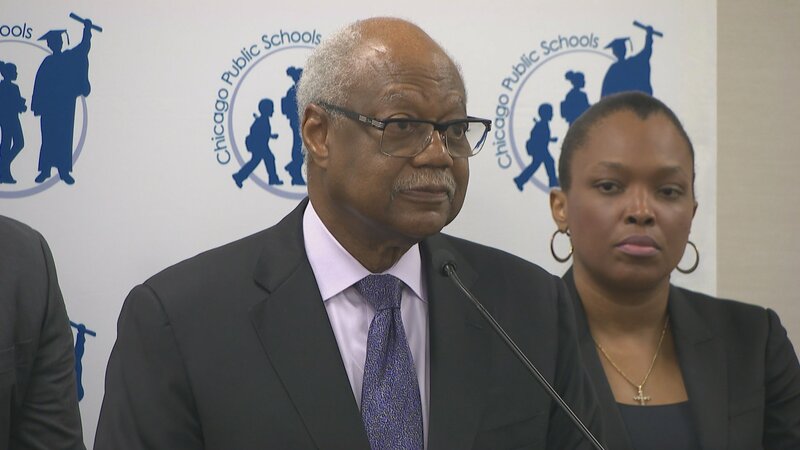 Clark says he’ll ask the board to transfer the work of investigating reports of sexual misconduct by district employees, vendors or volunteers against CPS students to the inspector general’s office going forward. CPS CEO Janice Jackson says they are also asking Schuler to review prior sexual misconduct cases going a back as far as the year 2000, and further if Schuler deems it necessary. “It’s been made clear that the public wants a sense of independence in these investigations, and that’s something that we have collectively made a decision to do,” Jackson said. Clark says the resolution that he plans to present to the board later this month will requires monthly reports from the inspector general, including the number of claims he’s investigating, the employees and schools involved, the nature of the allegations and the status of any employees involved. He also says even though the district is still working with former federal prosecutor and state Inspector General Maggie Hickey on a report due in August, that report is a full-scale review of all CPS practices, so Clark says these two efforts are not redundant. The district has said it is committed to providing the resources necessary for Schuler’s office to be able to tackle this investigation. Of course, that will mean hiring additional staff. Schuler says he’s just begun working on this with the board, so it’s too early to tell how much money he’ll need to fund more lawyers, investigators and support staff. In the case of permanently handling all sexual misconduct investigations going forward, Schuler says he’ll definitely need full-time staff. Schuler also says it’s too early to tell if his review of previous cases will lead to more staff or teachers being fired, or if anyone will face criminal charges. Meanwhile, the Chicago Teachers Union says this is a positive step, but only solves half the problem. The union reiterated its call Tuesday for an independent task force to develop best practices and strategies. The district says it plans to have this transition made in 60 days. The full school board still has to vote on it at this month’s board meeting.